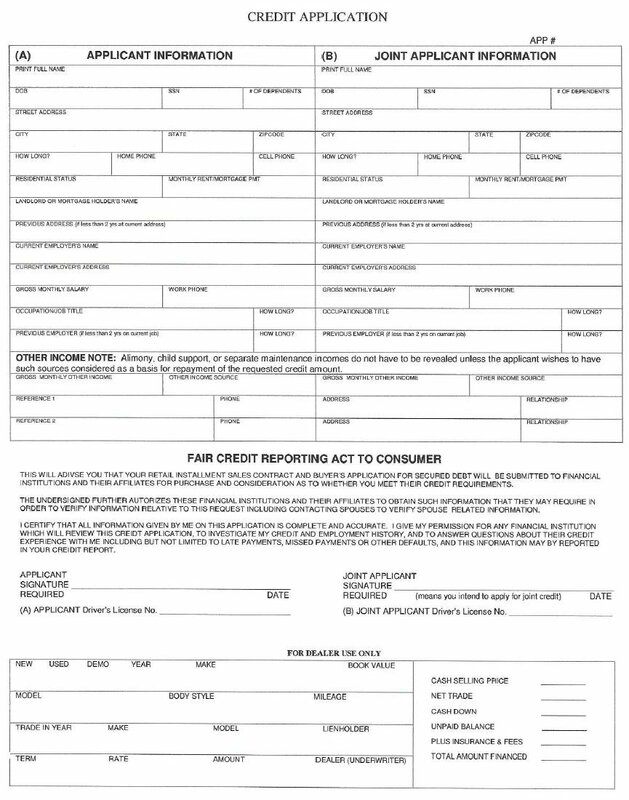 To print a copy of this credit application please right click on the picture, then save image as (name of your choosing) and select desktop for location. From your desktop you can now print the image. For your security and ours, you may not fill the form out online.